Growing up, Hamburger Helper™ never really found a place on our table. But when I went to college, I found apartment pantries packed full of those handy red boxes. One-skillet dinners are such a wonderful concept. Easy to make. Easy clean-up. Everything for your meal is right there in one dish! But, for the longest time, I thought that in order to make a “one skillet meal,” it had to come from a box. When I learned that you could take the “skillet meal” concept and create homemade dinners without the box, my idea of an easy weeknight dinner was forever changed! 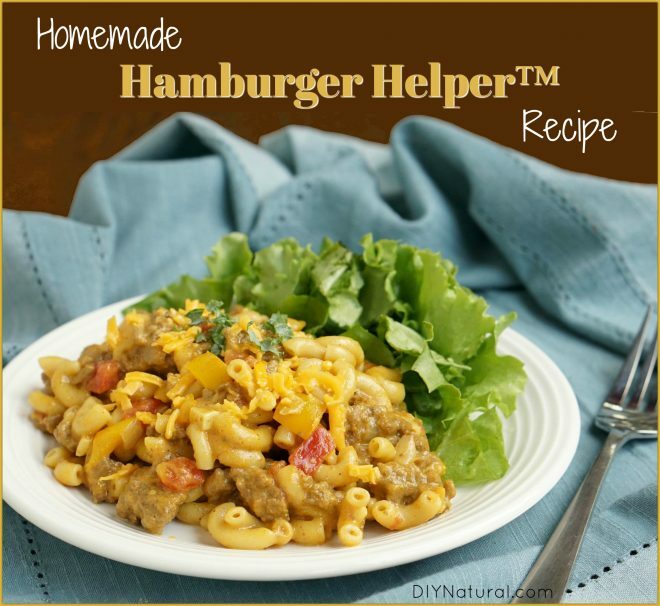 Why Make Homemade Hamburger Helper ™ From Scratch? Pasta. Cheese. Seasonings. Aren’t we using the same ingredients that are in the box? A quick look at the ingredients list on the Hamburger Helper™ box shows it so full of add-ins and synthetic ingredients, it’s kind of scary: artificial colors, hydrogenated oils, MSG, “natural flavor,” silicon dioxide, to name a few. Sure, it’s easy to dump a box into a skillet. But, what else are you dumping in there? Another great thing about putting together your own Homemade Hamburger Helper ™ meal is that you have all the control. Instead of the “enriched” white pasta that comes standard in the boxed mixes, when you make your own skillet meal, you can use organic whole wheat or extra fiber pasta. Or, use gluten free pasta, if your family prefers. Or, skip the pasta all together and use brown rice. The meal will be just as tasty! 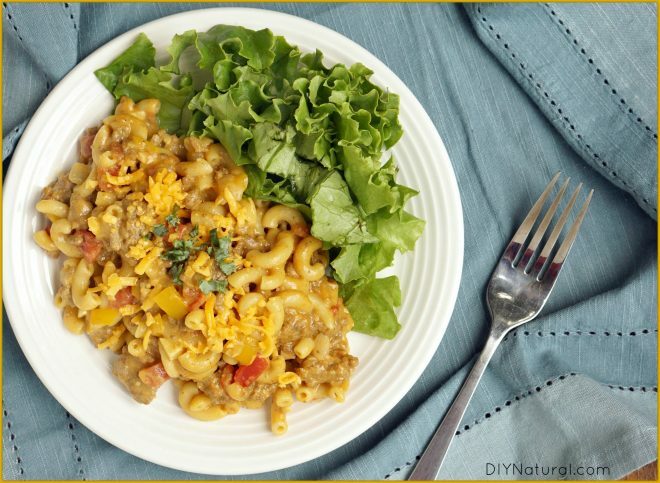 When making our version of the Cheeseburger Macaroni Homemade Hamburger Helper ™ dinner, I like to throw extra veggies into the mix that will pump up the nutritional value of the meal. I like to throw some chopped kale, peas, or other green vegetable in my bowl along with the beef and noodles. But, my husband prefers to have his greens on the side. We’ve been talking about control, and when you make the cheeseburger macaroni skillet dinner yourself, you also have control over the amount of cheese and milk that you add in to the mix. I use just enough of a milk and homemade beef stock combo to cook the pasta, not too much extra. That way, the starches from the pasta thicken the sauce, without any added thickener needed. For cheese, I love to use shredded extra sharp cheddar cheese, because a little goes such a long way for flavor. And, since I don’t use a ton of cheese, a little turmeric is perfect to give the yellow color that makes the eyes think there’s a lot of cheese in there. (We do eat with our eyes first!) And, you get the added benefits of turmeric! Since many of the Hamburger Helper™ box mixes are variations on the same cheesy pasta theme, you can get creative with my recipe below and adapt the skillet meal to your family’s favorite version. In a large skillet with high sides, brown the beef over medium-high heat, 2-3 minutes. Add the onion, garlic, and peppers. Continue to cook until the onions have softened, 3-5 minutes. Stir in the cheese. Taste the dish to be sure the pasta is cooked to your liking and adjust the salt as desired. Let the dish stand for 5 minutes for the pasta to absorb any extra moisture. 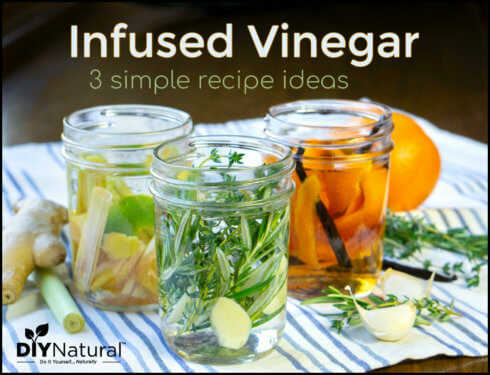 If you make this recipe, be sure to let us know what you think! 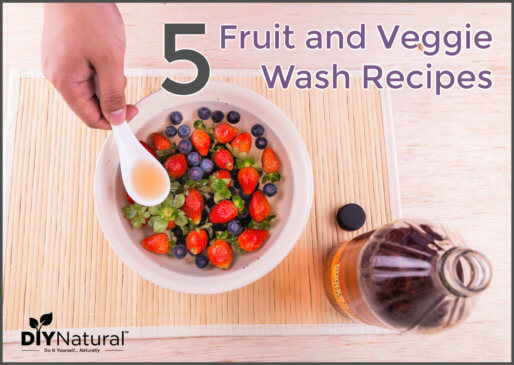 Thank you for the recipe Sarah, do you just take this alone or add some other toppings to it like juice, yogurt or the likes? We typically serve it with a side salad! 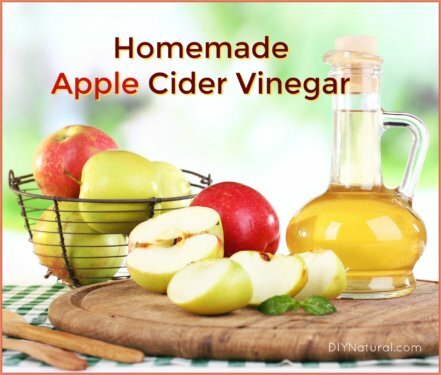 Is there a way to make this in an instant pot? Or as a freezer meal for crockpots? Hi Trish, I typically don’t make noodles in our slow cooker, so I’m not sure how I would adapt this for a slow cooker. And I’m not familiar with using an instapot. But maybe one of our other readers will have an answer for you! Oh that looks delicious. I want to try it right away! I looked at your recipe it uses a lot of spices which is good. When I go to the grocery store I look at the different boxes of the hamburgers helpers as well as some others. I make my own version of these and use when in a hurry. I just started using Italian sausage in some of my pasta. I love the idea about the use of turmeric as well of some but do not know where to get them. Italian sausage sounds like a great addition! I’ve been able to find turmeric at most specialty spice shops, or you can order it online.